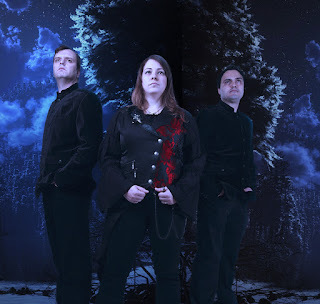 Solarys are a band originating from Lisbon, composed of 3 elements, Isabel Marques on vocals, Jason on guitar and DeLaVega on keyboard. The name was inspired by a cult classic of literature and science fiction cinema, about the research that results in an encounter to the inside of the human being, his fears, emotions, dreams and desires. Solarys play and sing original songs in Portuguese and English such as 'Know Why', 'Game Over', 'Cadeira Azul', among many others, without fear of presenting to the public new ways to mix and interweave sound, in a consistent and homogeneous way. They appear as a band of progressive rock, contemporary electronic, where the secret lies in dedication and in the strength that the songs give to life and the strenght that life gives to music. Having already gone through several sites, among them the Festival of Modern Music in Gondomar, Rocklab and most recently Real Repúblic de Coimbra, stands out their participation in the Super Bock Super Rock Preload, remaining in the Top 20 most voted bands by the public and also the RRW 2010 (Rock Rendez Worten), which were part of the 70 finalist bands. If there is a goal, this will be the composition of themes where you can identify the unique sound of Solarys.